I who usually wax loquacious am left nearly speechless. 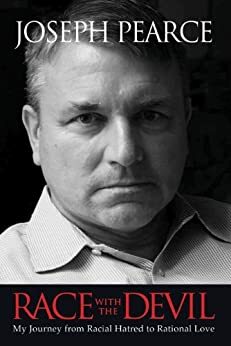 I don’t often make the time to read biography, much less autobiography, but when I do, I rarely enjoy it as much as I did Joseph Pearce‘s Race with the Devil. Pearce told his own story of transformation from hate to love with candor, humility, and much good-natured humor. I don’t think I’m spoiling anything if I give it a three-Kleenex review, as it gets incredibly moving in the last chapters. I highly recommend Race with the Devil.